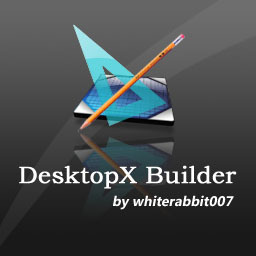 I couldn't find an icon I liked for DesktopX Builder, but I did find an excellent DesktopX icon, by yangge. So I decided to create my own DX builder icon, which I based on yangge's icon - more precisely I borrowed the "desktop" part of it. :) He/she gave me permission to publish this.